Most would consider the ability to assemble a bike from carefully selected parts (including unassembled rims) to show competence in that world. 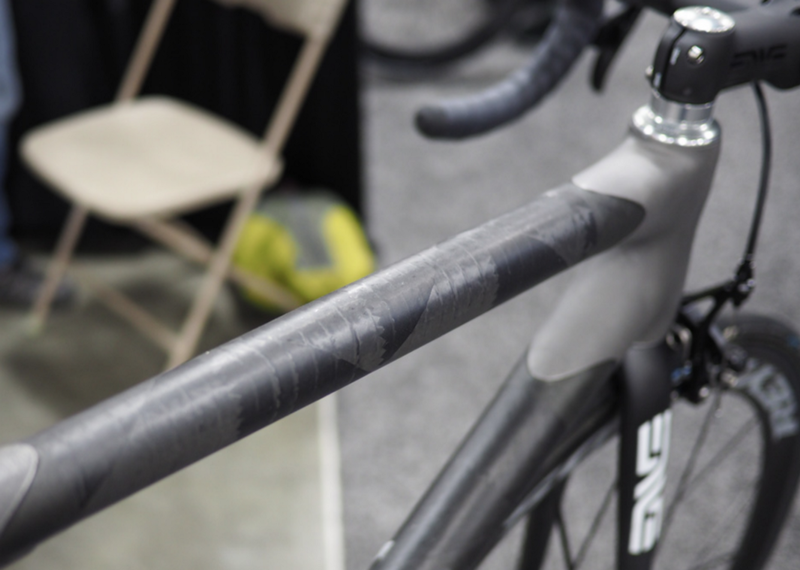 Bryan Kevan, however, went orders of magnitude further, and actually built his bike’s carbon fiber frame from scratch. As you can imagine, this was no small feat, and the build process is laid out in Kevan’s post — made with the help of 3D-printed molds and self-would carbon fiber tubing. The amount of custom work that goes into something like this is staggering, and the most interesting jig used is his DIY carbon fiber winding rig, outlined separately here. 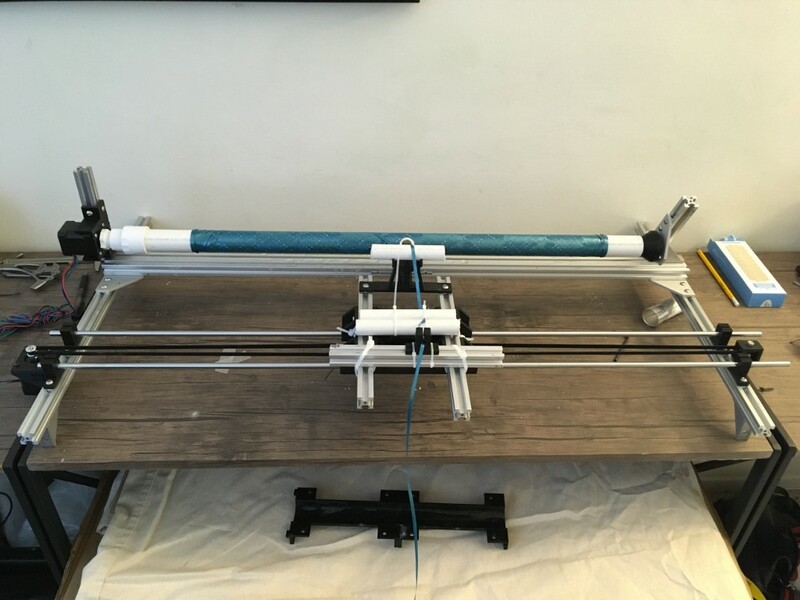 This device is built on an aluminum extrusion frame and linear motion components, and resembles something in between a piece of textile machinery and a homemade plotter. An Arduino Uno controls the winding process with a pair of Big Easy stepper drivers. One stepper rolls the PVC mandrel that carbon fiber is wrapped around, while the other moves the application point of strands to form a nice pattern. Epoxy was dripped on the carbon fiber during the process, giving Kevan rods that weigh 150g/foot, and about $8 per foot in materials. While this certainly doesn’t include his time, it does give Kevan the right to say, with no uncertainty, that this bike is truly his — from the literal fibers of its being. His post is a great resource if you’d like to “roll your own” carbon fiber rods — for whatever purpose — something he felt was lacking on the Internet up until this point! CNC Wind Your Bicycle’s Carbon Fiber Tubing was originally published in Hackster Blog on Medium, where people are continuing the conversation by highlighting and responding to this story.